Need some battle armor or a new goblet? Head over to Threadless to get Keegan's art on a variety of products. This treasure chest includes men's, women's, and kids clothing, shower curtains, pillows, mugs, prints, canvases, totes, beach towels, and more. Looking for a new piece of art for your dungeon? 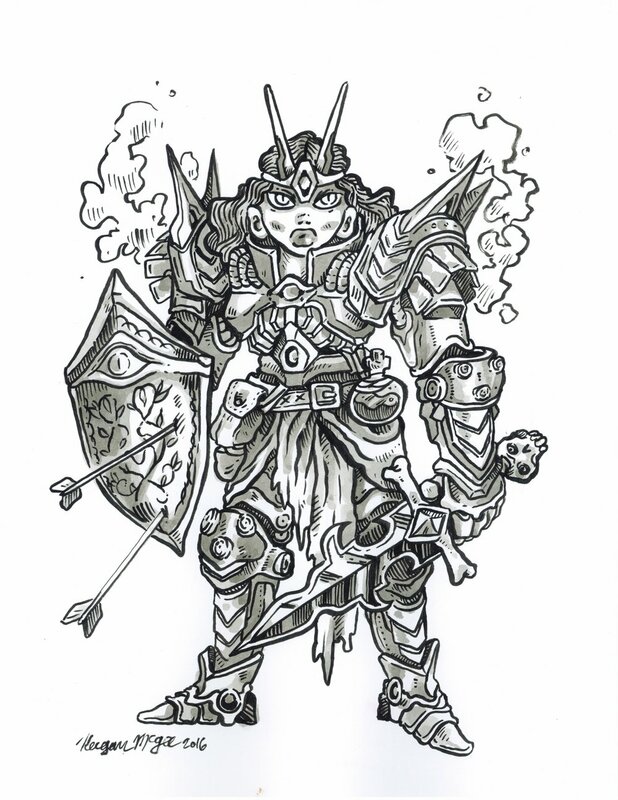 Or a custom commission of your Dungeons & Dragons character starting at $60? Take a look at Keegan Kaya McGee's loot.